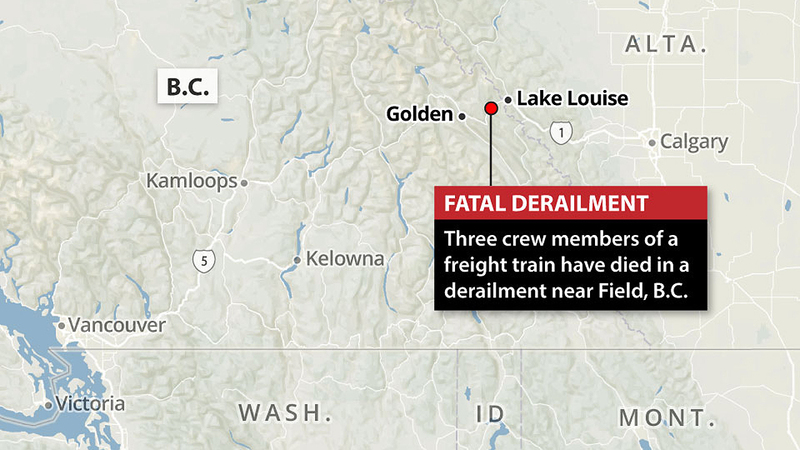 Three Canadian Pacific Railway crew members were killed early Feb. 4 in a grain train derailment east of Field, B.C., on the Laggan Subdivision. 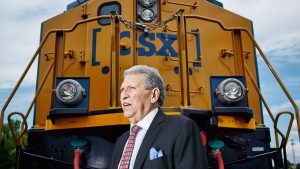 The 112-car westbound train derailed at about 1:00 a.m. Mountain Time (3:00 a.m. Eastern Time) as it emerged from the Upper Spiral Tunnel, plunging about 200 feet off a bridge into the Kicking Horse River. The three Calgary-based crew members killed have been identified as conductor Dylan Paradis, engineer Andrew Dockrell and trainee Daniel Waldenberger-Bulmer. 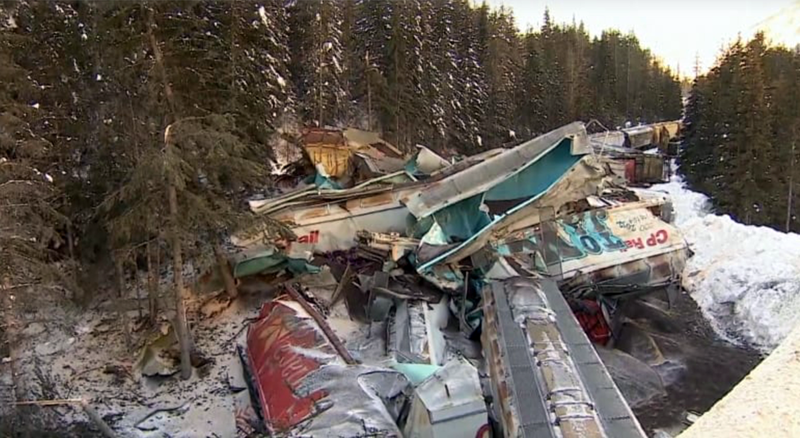 “On 04 February 2019, Canadian Pacific train 301 was proceeding westward to Vancouver when 99 cars and 2 locomotives derailed at Mile 130.6 of the Laggan Subdivision, near Field, British Columbia. 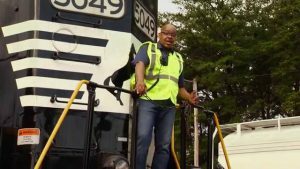 The train crew consisted of a locomotive engineer, a conductor and a conductor trainee. The 3 crew members were fatally injured. The train was a Distributed Power unit grain train composed of 112 covered hopper cars and 3 locomotives. The 3 locomotives were positioned at the front, middle and rear of the train. Following the derailment, only 13 cars and the tail end locomotive remained on the track. The lead locomotive and some of the cars derailed on a curve prior to a bridge. The lead locomotive came to rest on its side in a creek. A number of derailed cars came to rest on an embankment. The remaining cars, including the mid-train remote locomotive, piled up behind. 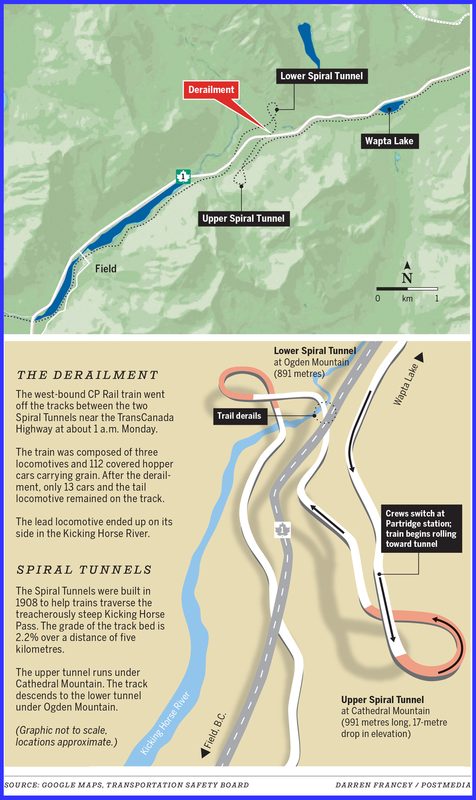 The accident took place between the Upper and the Lower Spiral Tunnel near Field, B.C. Preliminary indications are that a loss of control of the train occurred. The train had been stopped with the air brakes applied in emergency at Partridge, the last station prior to the entrance to the Upper Spiral Tunnel. A change-off between crews had occurred at this location as the previous crew were closing in on their maximum hours of service. The occurrence crew had just arrived and boarded the train but were not yet ready to depart. The train had been stopped on the grade, with the air brakes in emergency for about 2 hours when the train began to move on its own. There were no hand brakes applied on the train. The train then accelerated to a speed well in excess of maximum track speed of 20 mph for the tight curves and steep mountain grade, and derailed. Locomotive event recorder data from the lead locomotive has not yet been obtained as the lead locomotive was severely damaged in the derailment. Some data has been recovered from the tail-end remote locomotive and work is under way to obtain data from the mid-train remote locomotive. The investigation will determine how and why the loss of control took place. Illustrations courtesy the Calgary Herald. 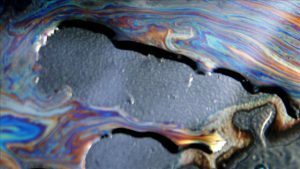 “There are currently two TSB investigators at the accident site, and two investigators are coordinating efforts from the Calgary office. The team is augmented by investigators from the TSB Engineering Lab and the TSB Human Factors Division. Examine and photograph the wreckage. Identify components for further examination by the TSB Engineering Lab. Weather conditions and the railway’s winter operating plan. Train operations specific to the Field Hill. 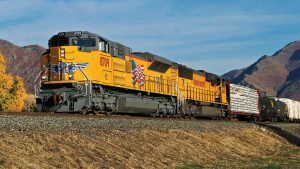 Operational policies for mountain grade train operations. Maintenance history of the rolling stock. Field is about 50 miles west of Banff, along the Trans-Canada Highway. 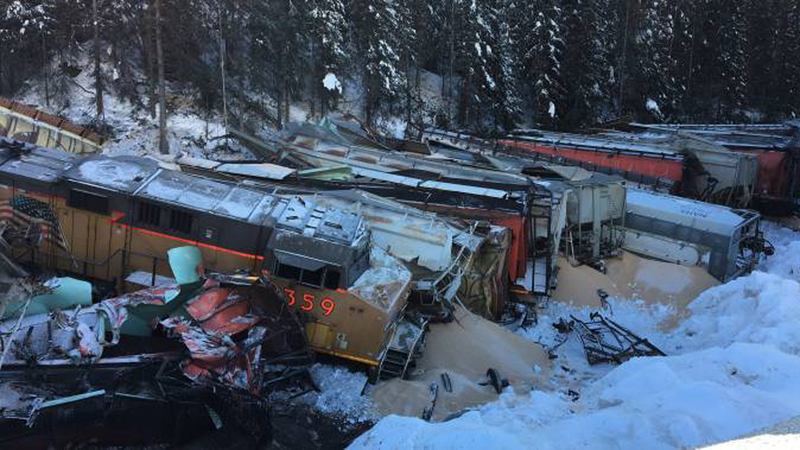 Sixteen cars of a CP train derailed on Jan. 3 in the same area. No one was hurt in that derailment.